The 172-foot long mine hunters have composite hulls designed to “flex inwards if an undersea explosion occurs nearby,” which is always a good thing. 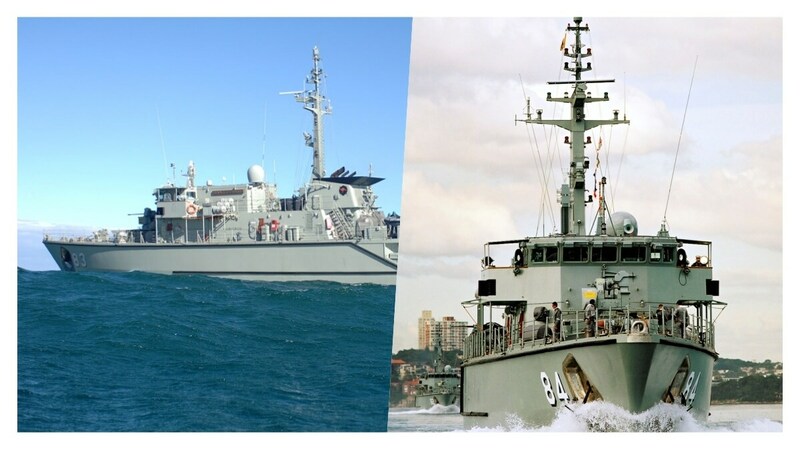 Built in 2000 as part of a six-ship class to an Italian design, both Hawkesbury and Norman were laid up in 2011 and have been in storage ever since while the other four ships have remained with the fleet. Sadly, it looks like their DS30B 30mm Bushmaster cannons and M2 .50-cal machine guns have been removed, but the vendor offering them for sale suggests they could be turned into luxury yachts or charter vessels. Not mentioned is a Jacques Cousteau/Steve Zissou-style recycle.